This story begins at the time of the birth of baby Jesus. In the hills of Italy, there is an old lady who lives all alone; she has a long crooked nose, broken shoes and patched clothes. Her name is La Befana, and on this special night she is busy cleaning her home and sweeping her floors with her broom. As she lives in a little house, outside a tiny village, sadly, she rarely gets any visitors. Quite unexpectedly, there is a knock at her door! When Befana opens the door, she finds the Three Wise Men. They tell her that the Christ child has been born and they are trying to find him, and asked her if she knew the way to the stable? Sadly, she doesn’t know and is too busy cleaning her house to join them on their journey. Befana kindly gives the men something to eat and drink and then once they have rested they head out on their way to find the newborn Jesus. La Befana gets back to her housework, but shortly after they have gone she stops her dusting and sweeping and realises she too should go to see the baby Jesus. She grabs a sack and fills it with toys, sweets, fruit and chocolates, and runs out her house! However, by this point the Three Wise Men are long gone and Befana cannot catch up with them and despite her best efforts, she soon gets lost. 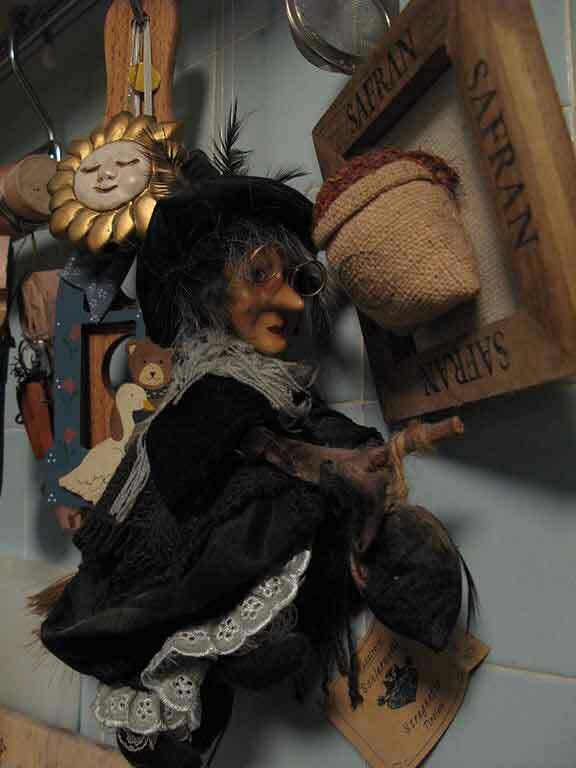 Befana realises that in her hurry she forgot to put down her broom, but luckily it turns out that it is magic and it can fly (after all, this was a night of miracles)! And so, she climbs aboard and flies around in the night trying to find the stable where Jesus was born. Poor Befana gets terribly lost, and after searching and searching she finally gives up and decides to try the houses of little children to see if she can find Jesus. Even today, La Befana still searches for Jesus and whenever she reaches a house with a child she drops in to see if it is the right child. It never is, but she always leaves some gifts of toys and chocolates to the little children anyway. This is because, after all these years, Befana has come to realise that the Christ child can be found in all children. It is also said that La Befana will tidy up an untidy house too! We hope you enjoyed our Christmas story! The friendly witch is celebrated with traditional Italian food, and if you want to enjoy traditional Italian food yourself, come with us on one of our cooking holidays in Italy. To check our 2018 offers, download our brochure here. Until then, we wish you a Buon Natale and a very happy New Year! This blog was originally posted on 17th December 2014, and was updated on 12th December 2017.